The Astronomical Group of Western Australia (AGWA) was formed to provide activity and networking for amateur astronomers, with or without their own telescopes. AGWA is run as a not for profit organisation this means it’s run by members and all proceeds go back into the club to help improve facilities for members. Membership to AGWA is FREE, just sign up on the Join AGWA Page. AGWA arranges astronomy camps/field trips for members in the country during the year to take advantage of our wonderful dark southern skies – WA skies are envied around the world. AGWA runs monthly meetings where we often have guest speakers who will discuss all aspects of astronomy from meteorites to black holes. 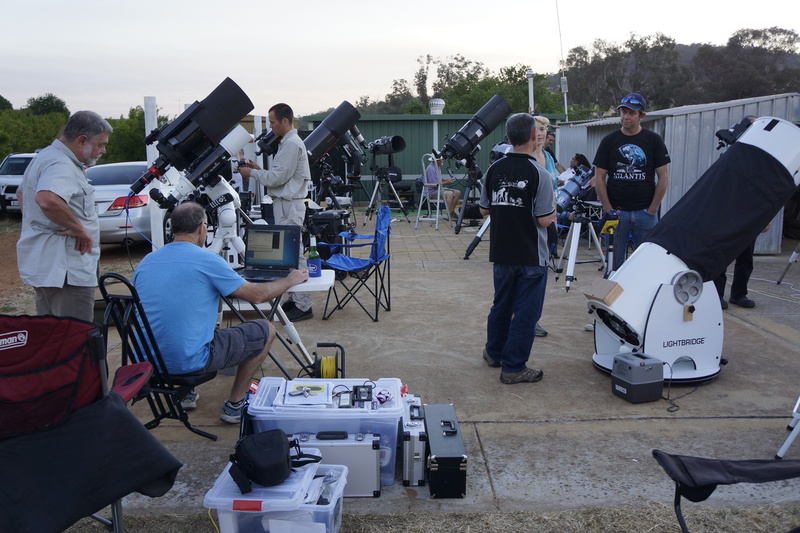 These meetings are a great time to meet other members and ask questions about any issues you may be having with your own telescope, our members have knowledge in all aspects of Astronomy and Astrophotography. The monthly meetings costs $3 to attend, this is to cover the cost of milo, tea, coffee and biscuits that are provided. AGWA has a private observing site at our Golden Grove Open Observatory in the Chittering Valley. 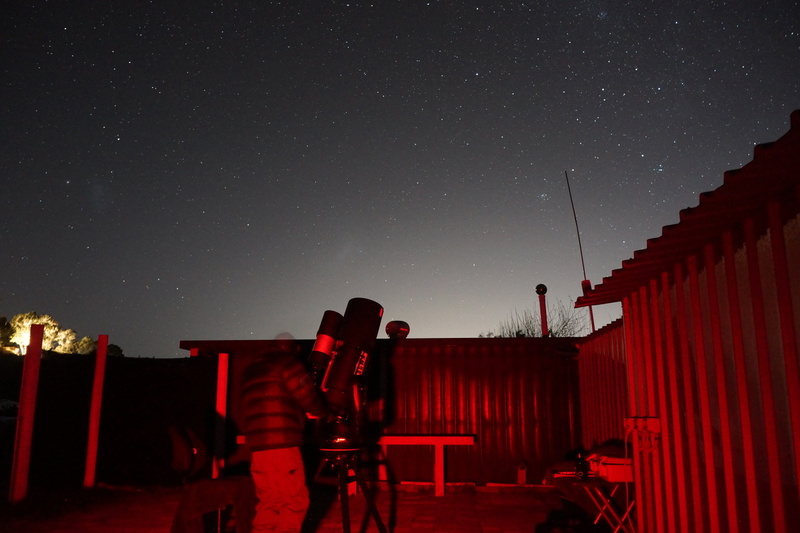 We hold Dark Sky Nights every month (usually Saturdays) plus other activities at different times during the year. Dates and information for events are emailed to members and is available on our private Facebook page. To access AGWA’s Golden Grove Observatory, you must be a sponsor of AGWA. AGWA offers 2 different sponsorship options $20 for a Single or $30 for a Family pass per year. The single sponsorship only allows you access to the site. The Family pass allows you to bring along a small number of guests such as family and friends. On Dark Sky Nights on a Saturday space will be limited at the site so please take this into consideration if you are planning to bring family or friends. AGWA Sponsors will be given the code to the site and a sticker that must be displayed on your telescope at all times.